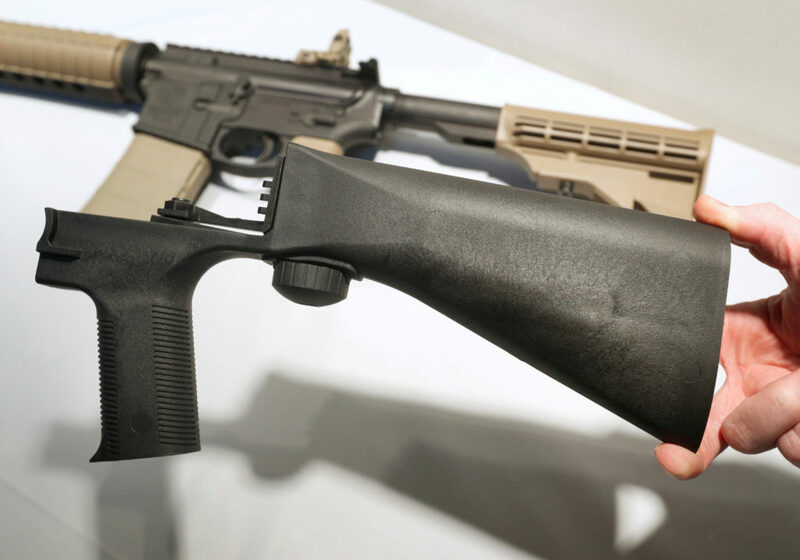 A senior Justice Department official says bump stocks will be banned under the federal law that prohibits machine guns. It will take effect in late March. After that, it will be illegal to possess bump stocks. There was no clear motive for the shooting, but the report contained more details from Stephen Paddock's personal life. The Trump administration is proposing banning bump stocks, which allow guns to mimic fully automatic fire. “It’s just crazy to me that you can’t buy a beer at 19, but you can buy an AR-15,” Tennessee Governor Bill Haslam said during an event in Washington, D.C. Friday. The president made the announcement about curbing the use of the rapid-fire devices during a ceremony recognizing bravery by the nation's public safety officers.